Dale A. Quattrochi is a geographer and senior research scientist with the NASA George C. Marshall Space Flight Center, Earth Science Office in Huntsville, Alabama. 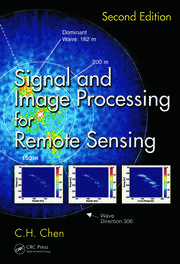 His research has focused on the analysis of multiscaled remote sensing data for GIS integration, the use of NASA satellite and airborne remote sensing data for analysis of land cover/land use changes, particularly as related to the urban environment, thermal remote sensing of the urban heat island effect, and in the applications of NASA data and models to public health issues. He is the coeditor of three books published by CRC Press: Scale in Remote Sensing and GIS (1997), Thermal Remote Sensing in Land Surface Processes (2004), and Urban Remote Sensing (2007). Dr. Quattrochi is the recipient of numerous awards, including the American Association of Geographers Remote Sensing Specialty Group Outstanding Achievement Award (1999), the NASA Medal for Exceptional Scientific Achievement (2001), the Ohio University College of Arts and Sciences Distinguished Alumni Award (2002), and the American Meteorological Society Helmut E. Landsberg Award (2015). He received his BS from Ohio University, his MS from the University of Tennessee, and his PhD from the University of Utah, all in geography. Elizabeth A. Wentz is Dean of Social Science in the College of Liberal Arts and Sciences, Associate Director for the Institute of Social Science Research, and Professor in the School of Geographical Sciences and Urban Planning at Arizona State University. Her research focuses on the development and implementation of geographic technologies designed to establish better understanding of the urban environment. In particular, she has been involved in geographic tool development, urban remote sensing, and urban environmental analysis. Her research record includes over 35 peer-reviewed publications in high caliber journals and has primarily been funded through (single PI and collaborative projects) from NIH, USDA, NASA, and the NSF. Her research is highly collaborative with researchers across a broad range of social, physical, and computational disciplines through collaborative research both and ASU and other academic institutions including the University of Rhode Island, Yale University, The Polytechnic University of Lausanne in Switzerland, and NASA. In 2015-16, she served as President of the University Consortium for Geographic Information Science. She earned her PhD in Geography from the Pennsylvania State University, her MA in Geography from The Ohio State University, and her BS in Mathematics from The Ohio State University. Nina Siu-Ngan Lam received her BSSc in geography from the Chinese University of Hong Kong in 1975 and her MS and PhD in geography from the University of Western Ontario in 1976 and 1980. Dr. Lam is currently a professor and an E.L. Abraham Distinguished Professor in the Department of Environmental Sciences at Louisiana State University. She was chair of the department (2007–2010), director of the National Science Foundation’s Geography and Spatial Sciences Program (1999–2001), and president of the University Consortium for Geographic Information Science (UCGIS, 2005). Dr. Lam has authored or coauthored over 90 referred journal articles and book chapters, including a book titled Fractals in Geography. Other topics on which she is published include spatial interpolation, scale and uncertainties, cancer mortality, the spread of AIDS, environmental justice issues, disaster resilience, and coupled natural–human system modeling. Dr. Lam has been principal investigator or co-principal investigator on over 40 externally funded research projects. She teaches courses in GIS, remote sensing, and spatial modeling and has served as major advisor of 2 post-doctoral associates, 17 PhD students, and 29 master’s students. 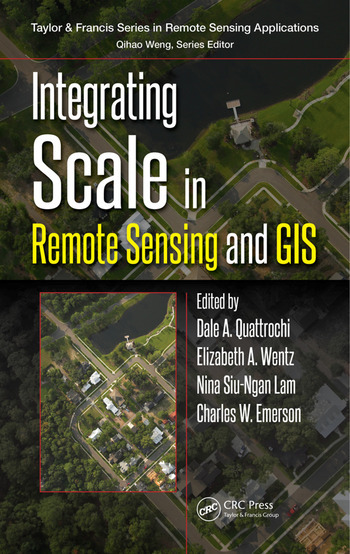 "This book provides a new and comprehensive view of what scale means in today's rapidly advancing world of geographic information technologies. The authors and editors are some of the most reputable figures in the field, and passionate about creating more awareness of the importance of scale, and more knowledge of its properties and impacts. It is a very welcome addition to the literature on the topic, one that should be part of the library of every environmental or social scientist." 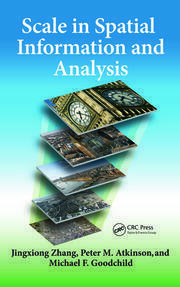 "This book is a superb mix of theory and a wide range of impactful applications, and at the same time integrates this with modern concepts and data sources such as complexity science and crowd-sourcing. I recommend this book to readers who are keen to understand the real world, and to know how to manipulate spatial and space-time data in a principled way." 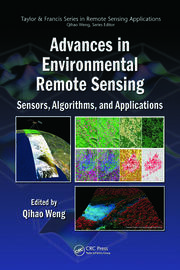 "The scale is a fundamental concept in geographical analysis, and this book addresse[s] the importance of scale in remote sensing (or broadly GIScience) from different per-spectives. This well-organized book includes four themes (13 Chapters), namely scale/multi-scaling issues, physical scale, human scale, and social scale."